Come by Practical Art today and browse the amazing work of our newest local artist Janel Garza! Genius Loci Jewelry is Janel’s line of wearable artistic creations, inspired by the Arizona desert. Genius Loci is latin for “the spirit or essence of a place.” As a Phoenix based artist, Janel employs simple, clean lines, color, and symmetry to evoke the beauty and balance of our arid landscape. Methodologically, Janel uses a laser cutter to shape and etch designs into each piece. She then delicately hand paints every earring and pendant with carefully selected colors. The ear wires are individually formed and attached. The resulting work is 100% unique! Genius Loci Jewelry provides beautiful, handcrafted artwork designed to amplify and accentuate any wardrobe. But don’t take our word for it– come and see for yourself! We can’t wait to see you soon. Posted on July 8, 2016 July 8, 2016 Categories About Us, Featured Item, UncategorizedTags arizona, art, artisan, artist, az, azart, azarts, craft, functional art, gallery, Genius Loci, gift, giving, handmade, Janel Garza, jewelry, local, local art, new artist, phoenix, phxart, phxarts, Practical Art, shop local, woodLeave a comment on Please welcome Janel Garza! Rusty nuts and bolts and discolored shards of metal come alive in the skilled hands of Aaron Voigt. Voigt’s fanciful robot banks and pencil holders happily adorn the shelves of Practical Art, and bring cheer to our local shop. At a very young age, Voigt began learning how to weld from his father. “My father welded his way around the world for the U.S. Army and brought his methods and experience back home to his family’s garage.” Their Father-son projects influenced Voigt as he began exploring his own artistic themes. He began putting his welding skills to great use. Voigt creates his artwork from pieces of manufacturing machines, aircrafts, cars, household fixtures and any other industrial materials he can find. Taking care to sand, smooth, and connect these odds and ends, he designs art with personality. The history of the materials he uses play an integral part in each creation– every robot has a unique story to tell. The discarded, industrial materials have become charming, fun-loving characters ready to find their permanent home with you! Visit Practical Art 7 days a week or check out our online shop, and take home your very own Aaron Voigt piece! Practical Art welcomes you to the 2015 summer! One great way to enjoy the hot, carefree summer days is at your favorite independent art shop. As we get ready for the summer, Practical Art is saying farewell to a long devoted friend and colleague, saying hello to two new inspiring partners in the arts, and is inviting YOU to join us as we celebrate art and purpose in Phoenix! Kara Roschi, one of our original movers and shakers, is bidding us adieu. As a seven year veteran of our amazing store, words cannot express how much she has meant to the creation and sustainability of Practical Art. Jane Reddin saw the kindness, enthusiasm, and talent that Kara possesses—qualities we all love and admire. Kara has used her talents to the benefit of our art and artists. She helped us develop the business practices that have sustained Practical Art. We know she will continue to to support and create local art as she focuses on her master’s program at ASU and the other opportunities that spark her genius! Good luck, and best wishes, Kara! As we bid farewell to Kara, we enthusiastically welcome two new (to Practical Art), intelligent, and artistic women to the store. These new partners will continue to inspire and expand our mission of bringing art to the everyday. Stop by the store and meet Andi Erickson. Andi, as an Art Historian and enthusiast, will help you choose your very own art essentials! Behind the scenes, Sophie May Hook will help Practical Art develop an even greater presence in the Phoenix arts scene. Sophie is an independent arts, events and project management consultant who is passionate about nurturing talent, cultivating diversity and providing access to the arts for all. Sophie will help us find more ways to grow the art community of our beautiful city and make Practical Art an integral part of that community. Welcome to the team Andi and Sophie! In addition to these exciting changes, we want to give you a sneak peek at some summer plans that we’re currently developing. Soon, in addition to finding and enjoying wonderful, functional artwork every day of the week here at Practical Art, you will be able to make your own! This summer (along with our summer kids classes with the Bergamot Institute) we plan to offer one-of-a-kind art classes with some of our favorite local artists. 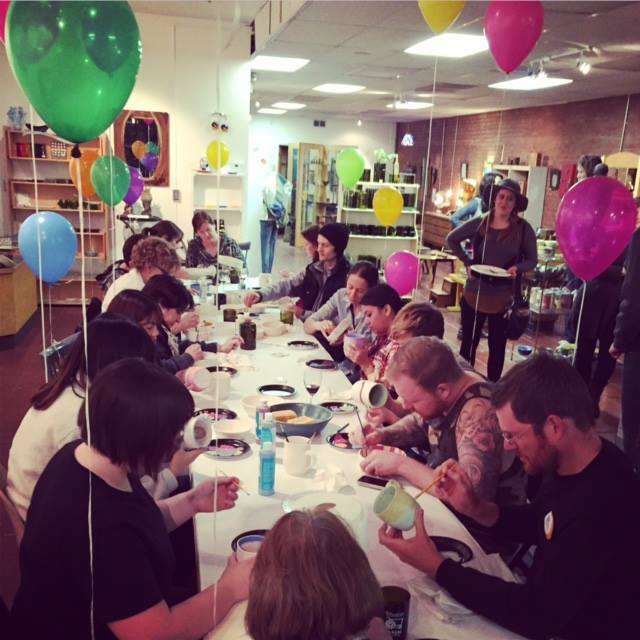 Make candles with the scent experts from Standard Wax; break wine bottles with Ray Delmuro and Refresh Glass; squeeze some mugs with the creativity expert Jillian Schimmel; AND MUCH MORE. Whatever your creative interests, we will have a class for you. You choose the class, gather some friends to join in the fun, we will provide the location and supplies, and one of our artists will share their expertise. There is no better way to escape from the heat than by coming out to Practical Art, enjoying friends, learning something new, and walking home with your own unique artistic creation. Look for more details and information, including how to sign up, coming soon on this blog and on our website. Looking for other fun ways to support Phoenix? Practical Art has you covered! 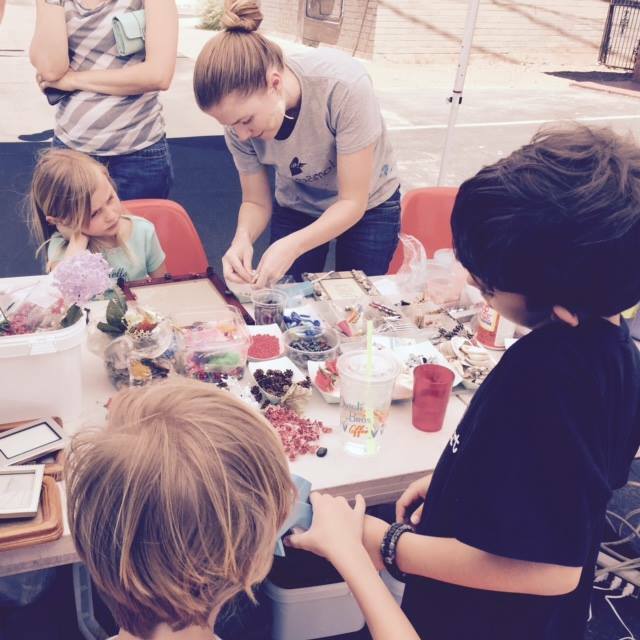 All summer long, join us in creating, supporting, and funding new initiatives that encourage Phoenix to recycle and reuse. Sign up to receive our newsletter or check out our website to find out how you can help. We will also continue to share good fortune and good pie by hosting our Charity Pie Night every 4th Friday of the month. 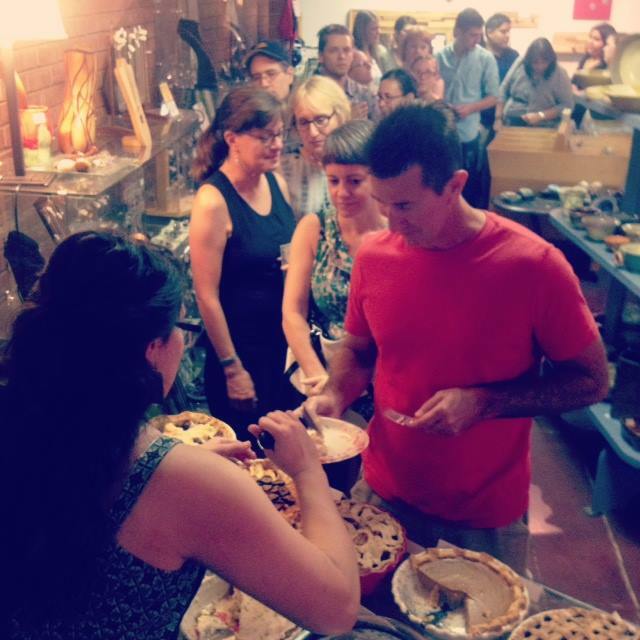 Enjoy mouth-watering masterpieces from Vonciel’s Pies while supporting local non-profit agencies around the valley. If you are looking for a place to escape the heat, enjoy one-of-a-kind handmade art, meet new and interesting people, and support Phoenix, Practical Art is the place to be. Thank you for your continued support of our shop and the 125 artists whose work continues to inspire us daily. We can’t wait to see you soon!